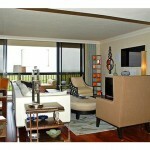 Dorchester at Pelican Bay is a beautiful high rise condominium building in the south central portion of Pelican Bay. It was built in 1981 and has 86 units with about 16 floors. The floor plans contain both two and three bedrooms and range in size from 1,700 square feet of living space to over 3,500 square feet in the amazing luxury penthouses. The tram stop for Pelican Bay stops at the back of the building, right outside the back entrance. Dorchester features great amenities such as a resort style pool and spa, as well and gorgeous views of the Gulf of Mexico and a natural preserve. 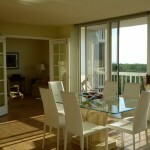 Homeowners at Dorchester are allowed to lease their condos once a year with a 60 day minimum. Come out and take a look at why Dorchester is fantastic from every angle! 6075 Pelican Bay Blvd., #1104: This gorgeous unit has two bedrooms and two and a half bathrooms, spreading over 1,741 square feet. 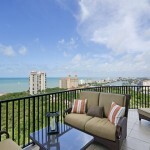 You are guaranteed amazing views from any window of this high floor condo. This beautiful condominium is designed in the classic style, fashionable no matter what your taste happens to be. If you choose, you can purchase this unit completely furnished. This means no need to rent that big moving van; just turn the key and move right in! The entire building has been remodeled recently, which makes an amazing impression as you enter. The unit itself is in great condition, with beautiful flooring, fantastic layout, a gorgeous kitchen, and all the comforts of home. You will never need to leave the building to be entertained. Between the pool and spa, along with a full community room with pool table and an amazing fitness center, you will be ready to have your friends over or make new ones! If you do leave the building, you have beach access with an available beach club and full beach pavilion. Enjoy privacy while enjoying the sun and surf as often as you wish! Gather in the community room with your neighbors, or just relax in the hot tub and wash your cares away. Contact us today to look at this spectacular condo for yourself. Once you see it, you’ll be packing your bags in no time! With the view, the amenities, and all that Pelican Bay has to offer, why put off making this beautiful building your new home? 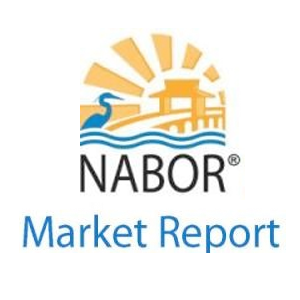 Take a tour and find out how much living near the bay can do for you!